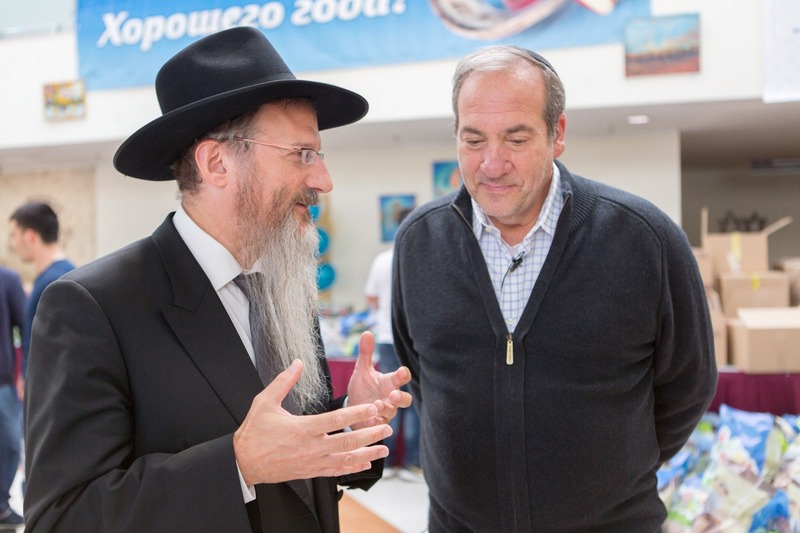 It is with great sorrow that I learned about the passing of the founder and President of the International Fellowship of Christians and Jews, Rabbi Yechiel Eckstein. He was a strong energetic leader who daily sanctified the word of G-d with his deeds. Thanks to his initiatives many people found their way back to the Torah and tradition and countless programs were installed for the elderly, the veterans and the needy. His uniqueness was in his ability to feel the suffering of others – relieving that suffering was his life’s mission. That’s why he always tried to be where he was most needed. He came to Russia and the FSU many times, visiting the elderly – singing them songs, instilling in them hope and cheering them up. Rabbi Eckstein made a huge impact on interfaith relations. Thanks to him, the world saw that it is possible not only to be good neighbors and friends but also to create together, to cooperate on projects and help people. We are grateful to him for his part in creating the EuroStars program that helped thousands of young Jews from the FSU to return to their roots, go on memorial trips to Poland and commemorate Holocaust victims. For decades, the Fellowship was active in helping Jews immigrate to Israel, first from the FSU and then from Ethiopia, India, Latin America, and other countries. Tens of thousands of Russian-speaking Jews came to Israel with the help of the funds provided by the Fellowship. Listing all of Rabbi Eckstein’s accomplishments would take a long time. During all his life, Rabbi Eckstein showed his devotion to the words of King David, as quoted in the Psalm: “Stray from evil and do good; seek peace and pursue it.” His efforts were aimed precisely at pursuing peace and justice. To our deep regret, Rabbi Eckstein’s heart gave out at the relatively early age of 67. We hope that his life’s activities and his outlook will find worthy followers. We pray that people will learn from his approach to life and act accordingly. In his deeds, Rabbi Yechiel will always be with us.